Established in 1878 as a grant program, the Felix Mendelssohn Bartholdy Conservatory Competition started off in 2013 with a new concept and high valued prizes. The prizewinners will be selected in annually changing categories. Apart from cash prizes, the competition focuses on sustainable support by offering grants, concert engagements and CD productions to the prizewinners. 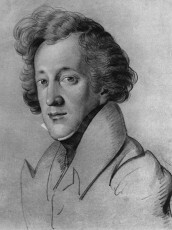 The Felix Mendelssohn Bartholdy Conservatory Competition is presented by the Prussian Cultural Heritage Foundation, and by the Rectors‘ Conference of German Conservatories. Traditionally, Berlin University of the Arts hosts the competition in its beautiful concert venues. Following the 2020 auditions in the categories singing and string quartet, which are open to the public (15 – 18 January 2020), there will be a concert for the prizewinners. This concert will take place on 19 January 2020 at Konzerthaus Berlin. The Felix Mendelssohn Bartholdy Conservatory Competition has been established to support artistic excellence presented by music students currently studying at a German conservatory. The knowledge of German culture and its language is a central part of the cultural education that German conservatories offer their music students. By implication, the information on this website is provided only in German.